For 34 years, hundreds of thousands of radio listeners awoke every weekday morning to the inimitable wit and delightful personality of Jess Cain on WHDH. Many will recall the jingle (sung to the tune of “On Top of Old Smokey”) “Jess Cain in the Morr-ning, from 6 until 10…but it isn’t 10 yet, so here’s Jess again!” Or, of course, his famous “Caaaarl Yastrzemski…the man we call Yaz” song during the Impossible Dream Year of 1967. His rapport with long-time newsman Leo Egan was part of the fabric of morning radio in Boston. Jess Cain was born in Philadelphia in 1926, but he was as Bostonian as the Custom House Tower. He modestly downplayed his military service in World War II, where he served under Audie Murphy during the Battle of the Bulge and won the Silver Star for bravery. He had a brief run in television acting and college teaching before meeting Jack Hynes (Massachusetts Broadcasters Hall of Fame inductee, 2008) at Notre Dame. Jack Hynes, the son of Mayor John Hynes (Hynes Convention Center is named for him) brought Cain to Boston, where they initially thought of working as radio partners. However, Jack Hynes wound up doing news at WHDH-TV (then Channel 5), and in 1957 Cain was hired by WHDH-AM to co-host with Ray Dorey, a popular Air Talent and singer who had been on WHDH since 1951 when he replaced Bob and Ray (2007 Massachusetts Broadcasters Hall of Fame Inductees) as the morning DJ’s. In 1961 Ray Dorey moved over to WHDH-TV to do a morning show, and Jess Cain became the solo morning host on WHDH-AM for 30 years. He was known for his Townie songs (“H, a v-e-r–h…i-l-l-spells Haverhill” to the tune of “Harrigan”), his “Caaaarl Yastzremski, the man we call Yaz” song during the Red Sox Impossible Dream year of 1967 when Yaz won the Triple Crown – the song was subsequently used in the 2005 Jimmy Fallon/Drew Barrymore movie, “Fever Pitch” – and “Jess Cain in the Mor-ning…from 6 until 10…but it isn’t 10 yet…so here’s Jess a-gain” sung to the tune of “On Top of Old Smokey.” His rapport with his long-time newsman, Leo Egan (Massachusetts Broadcasters Hall of Fame, 2012), was classic. Jess Cain retired in 1991. In addition to his mastery of radio, Cain was an accomplished actor, who appeared on stage, notably at the North Shore Music Theatre, during and after his years of broadcasting. 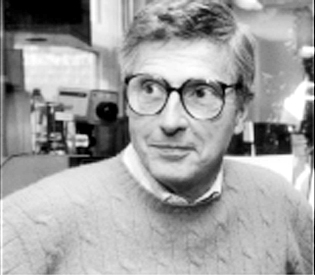 He was inducted into the Massachusetts Broadcasters Hall of Fame in 2007 and the National Radio Hall of Fame in 2008. Jess Cain died in Boston in 2008. He was 81.